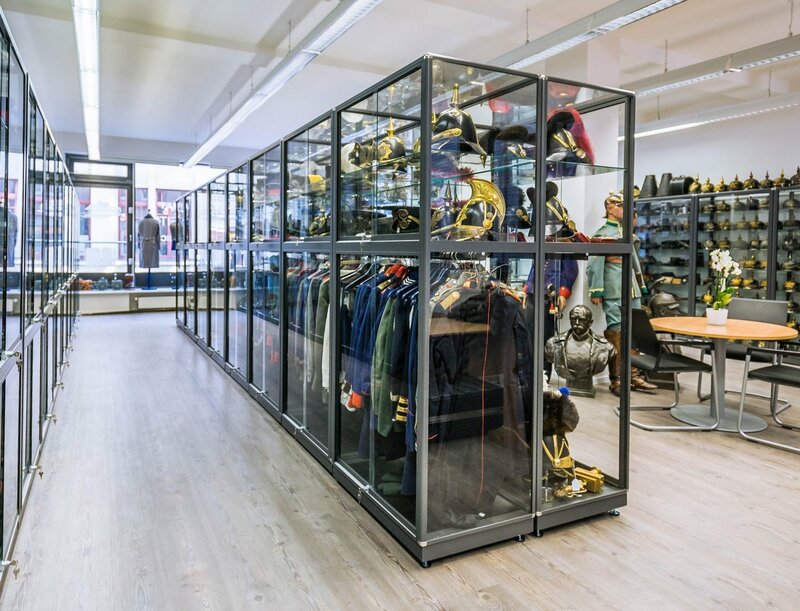 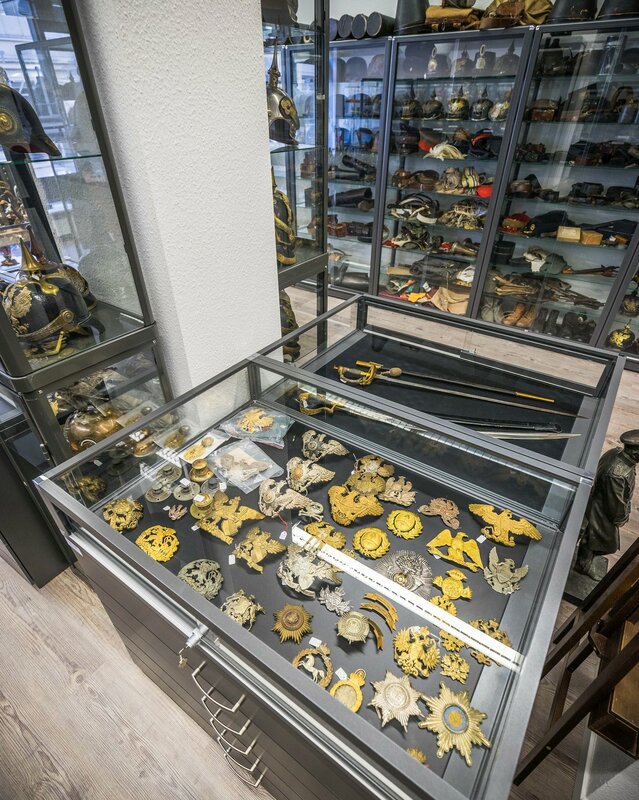 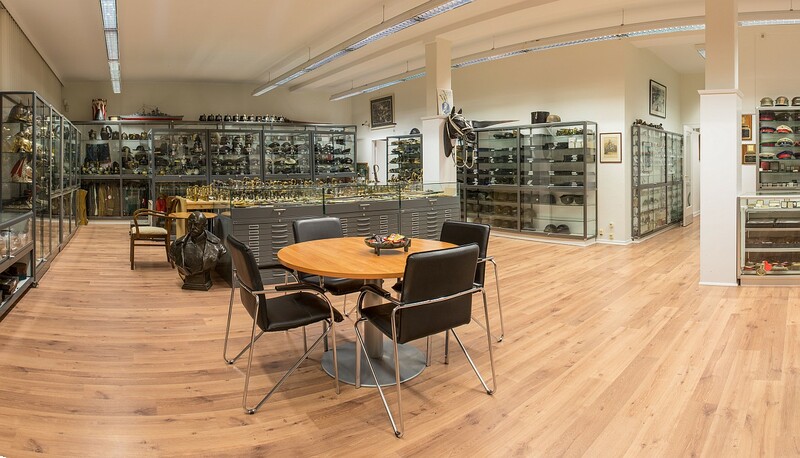 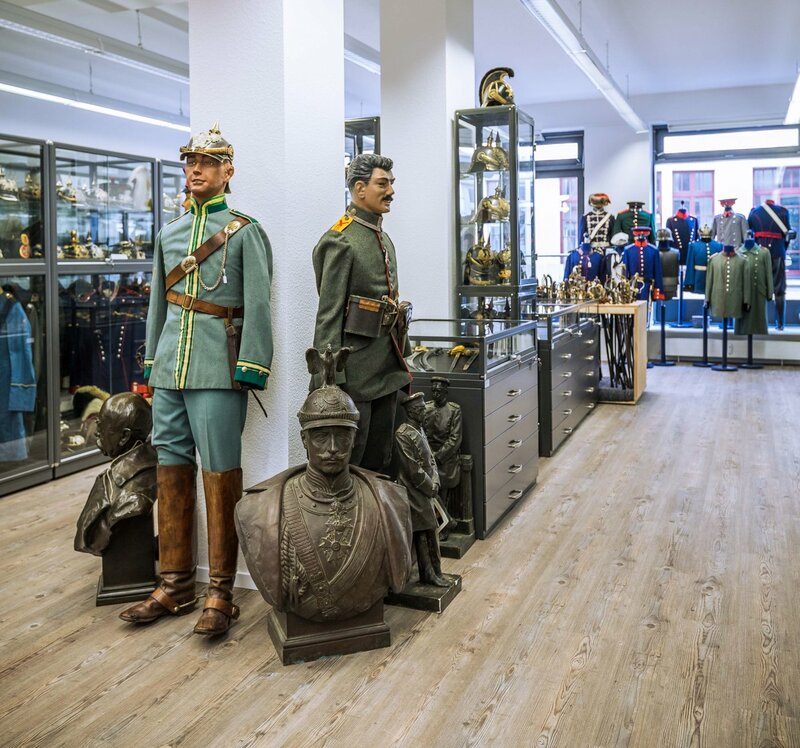 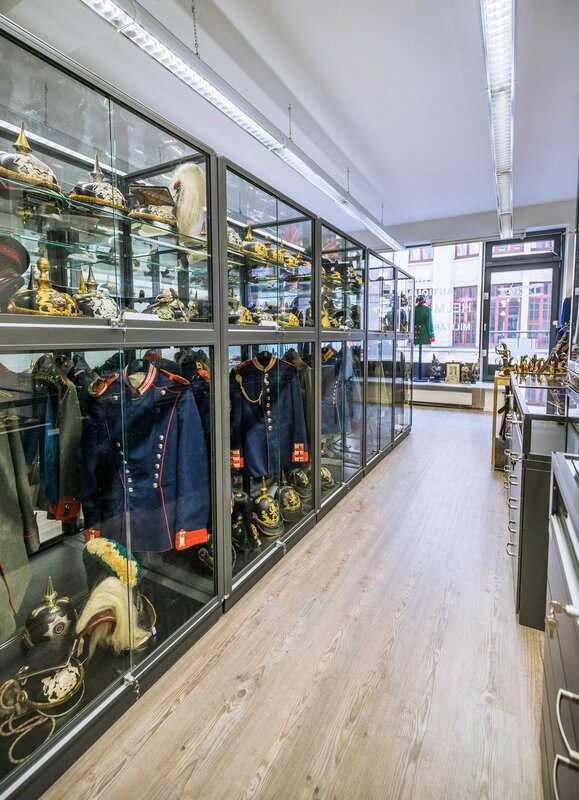 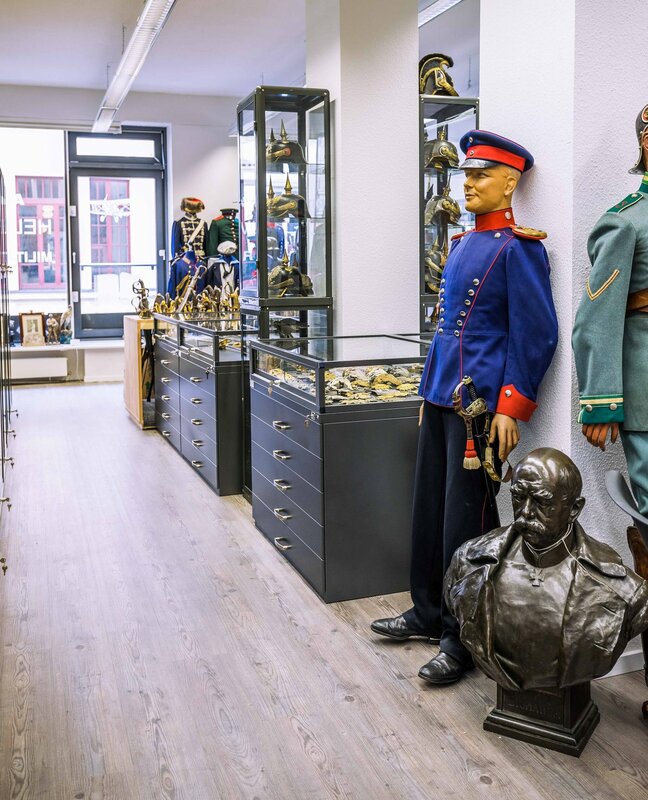 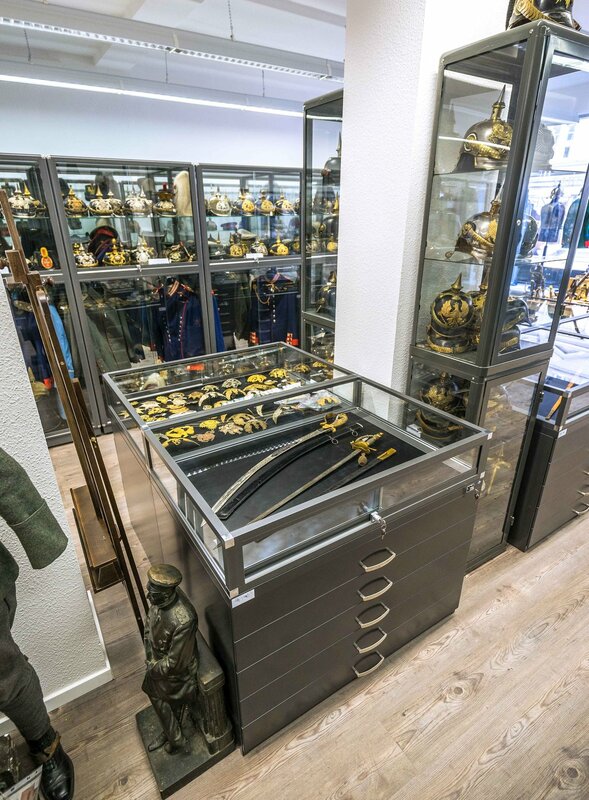 In our shop you will find on over 380 square meters the full offer of our Fine Military Antiques on display. 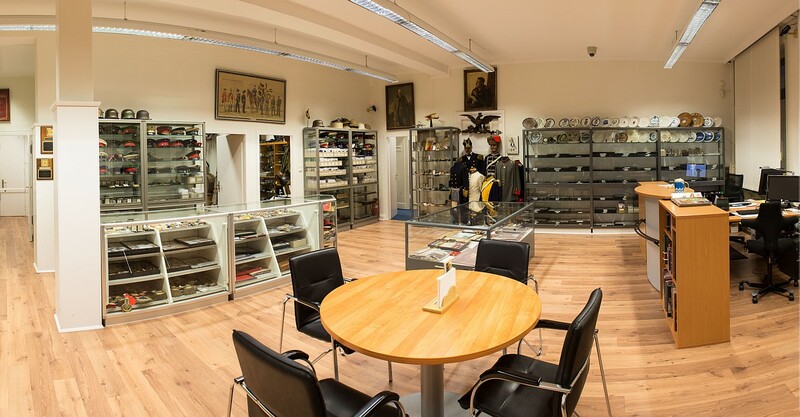 A wide selection of the period from 1800 – 1945, presenting uniforms, helmets, visor hats, spike helmets, medals and decorations, documents, daggers, swords and bayonets and much more. 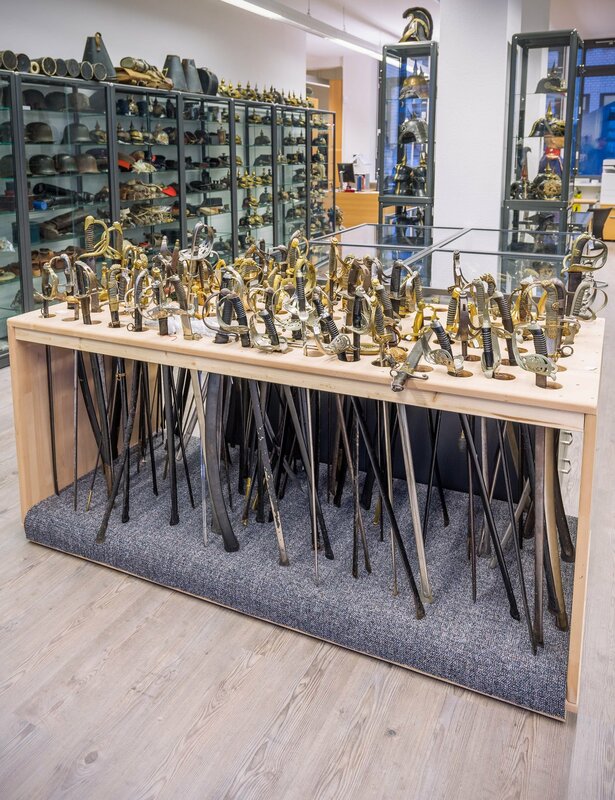 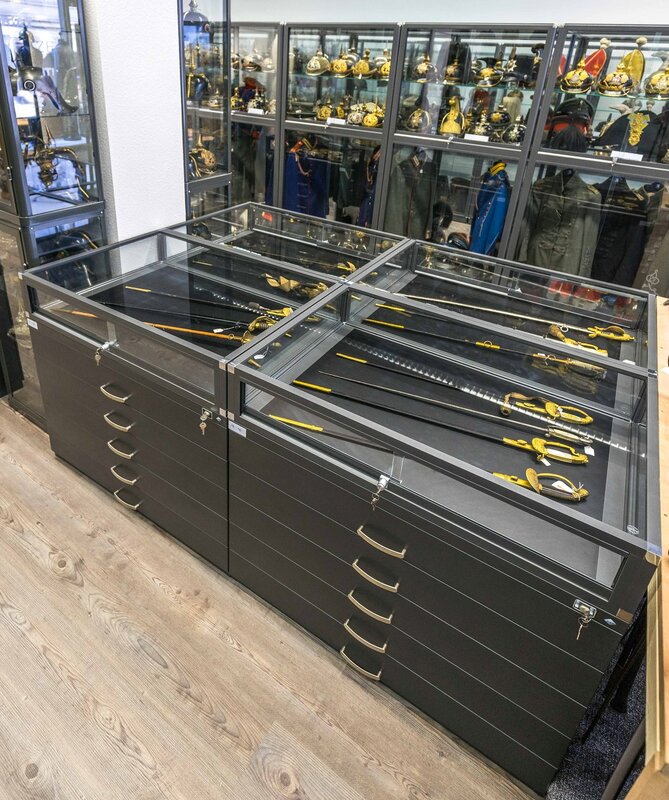 At the front you can see our Blade department with our offer of daggers and bayonets, in the background the stand for the swords, in total over 500 pieces! 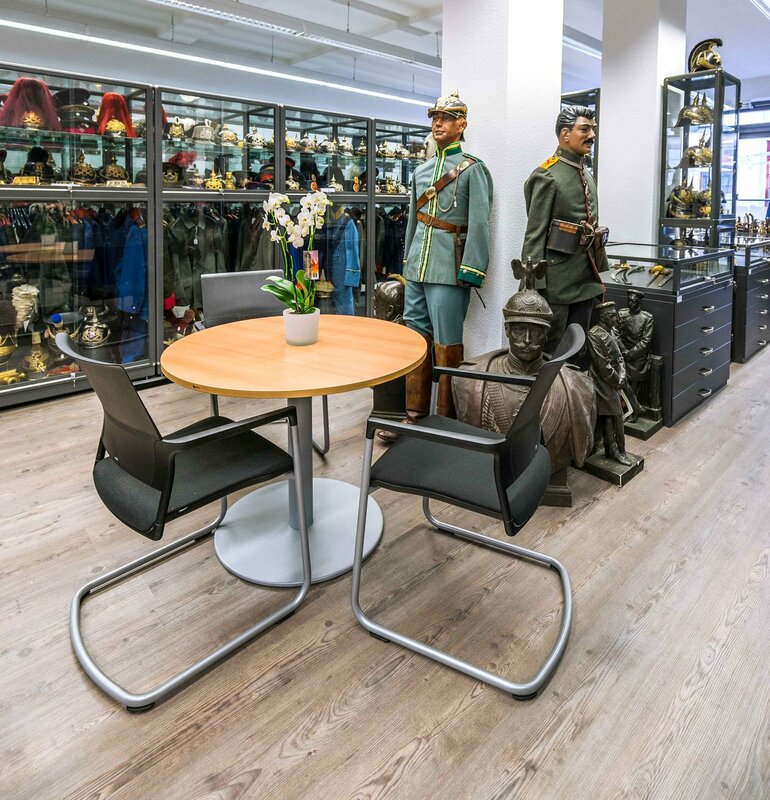 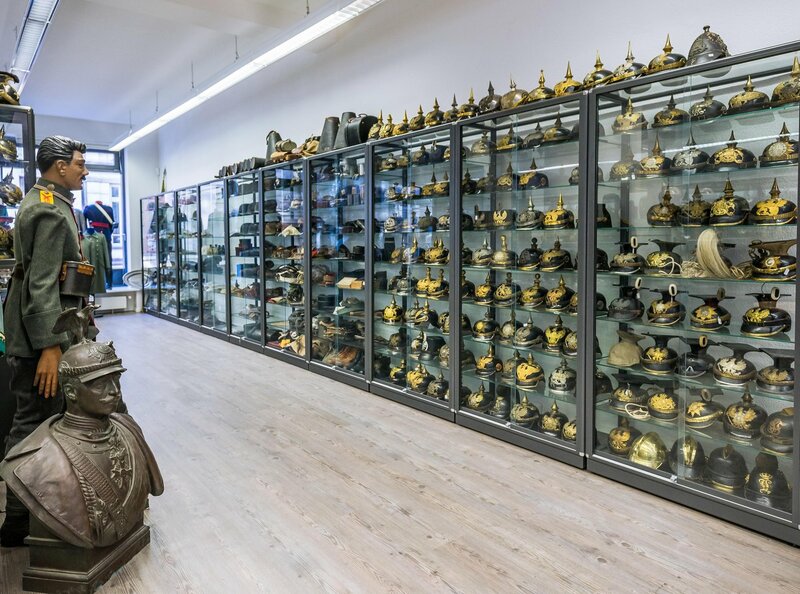 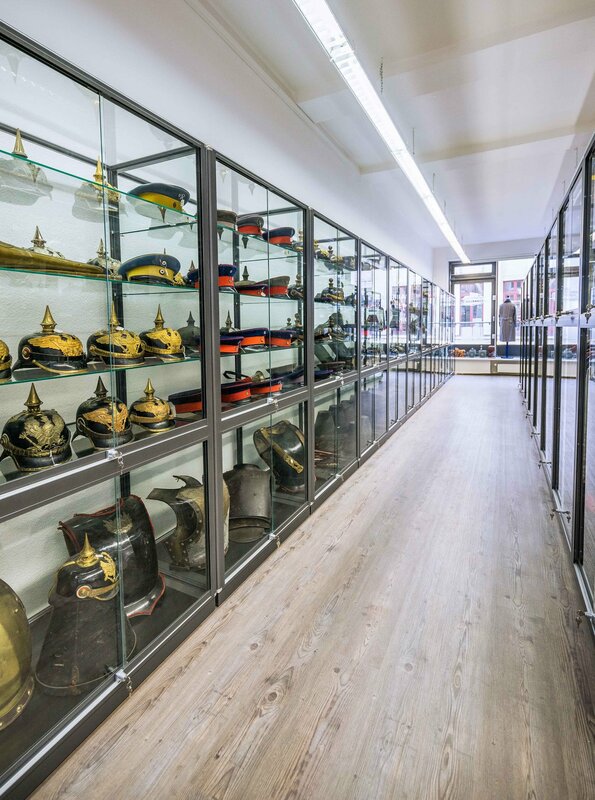 The large show cases in the back are decorated with a part of our large offer of Imperial spike helmets, Ulan Tschapskas, Husar busbies and helmets.